The Seiko Bell Matic 4006-6040T automatic alarm watch with day/date complication. Gear | In some ways Swiss watches are like diamonds. Their social status, and consequent value, is in large part, do to very clever marketing on the part of the Swiss as well as the firms who sell high end watches. Makers like Rolex, Patek Phillip, Tag Heuer and Omega are all cultural icons. They are global objects of desire. Why? Because, like diamonds, we are told they are. Are they beautifully constructed? They are. Do they say something about the person wearing them? They do, but if I’m honest, not always what their wearers intend them to say. They are also hugely expensive. Which is, of course, a big part of the message the wearer is trying to get across. Over the years many of these brands made working watches but with the disruptive rise of the Japanese watch industry the Swiss have somewhat ceded that segment of watches to them. The most significant makers of quality wrist watches outside of Switzerland are the Japanese. The Japanese almost killed the Swiss watch industry with the accurate, relatively inexpensive, electric watch. I suspect this has been the root cause of a segment of the watch community that has looked down their noses and sniffed at "cheap" Japanese watches. But all along there were Japanese makers who constructed fine mechanical watches. Watches the equal of anything produced in the Jura. Seiko is one of these firms. For the watch fan in the know, the sight of a Speed Timer, vintage diver or a Tuna Can gives every bit the thrill that a Swiss watch evokes. After WW2 the Japanese were on a mission to rebuild their economy but also to show the world that they deserved respect for their technology. Along with companies making cars, motorcycles, electronics, cameras and musical instruments, the watch industry competed aggressively on the world stage. Seiko goes back to 1892 when watch repairman Kintaro Hattori partnered with engineer Tsuruhiko Yoshikawa to form the Seikosha watch company. 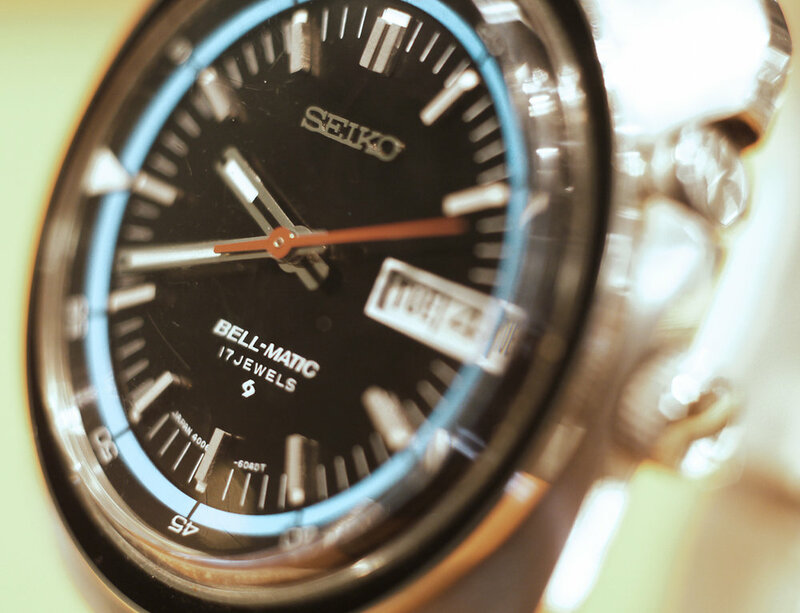 Seiko is an abbreviation of Seikosha which means “House of Exquisite Workmanship”…roughly. Their first watch was produced in 1895 and by 1913 they were making wrist watches. They started out using Swiss movements but soon began making their own components. One of the landmark Seikos is the Marvel of 1956. It was the first movement designed in-house without any outside influences. In 1960 Seiko created the Grand Seiko chronograph which the company intended to be the best watch made. Many aficionados argue that, at the time, Seiko fulfilled their mission. It was a very worthy competitor to Rolex and many other Swiss movements. Such a strong competitor that the Swiss horological certification organization got huffy and refused to test and certify it. So Seiko established an even more rigid standard to hold their watches to. 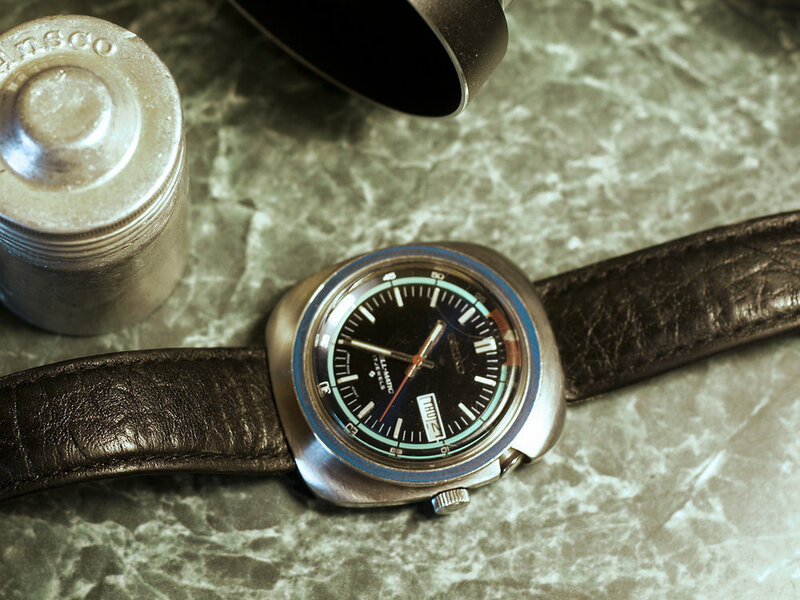 The company went on to be a pioneer in the dive watch segment as well as developing hyper accurate electronic movements and fantastic mechanical chronographs. One of the coolest, and under the radar, watches made by Seiko in the ’60s is the 4006 Bell Matic automatic alarm complication. It was released as the 4006-7000 in Japan in 1966 with a 27 jewel movement. It was not the first alarm movement, that honor goes to Eterna shortly after 1900, but it was a clever, robust movement that featured the first centrally pivoted full winding rotor. The cases are stainless steel and are theoretically water resistant but they are not a watch that can be submerged. The crown wheel sets the time and also winds and sets the alarm. The watch is automatic but the spring for the alarm hammer must be wound. The upper knob turns the alarm on and off. The dial features a day/date window and iridescent machine turned finishes reminiscent of the times. The crystal is plastic which was a common feature of many watches in the ’60s including Rolex. One of the most distinctive features is the knob on the right side of the case to activate the alarm which gives off a metallic chiming buzzing sound. The main knob sets the time, the alarm time and winds the alarm spring with is not automatically wound. In the late ’60s watches of more than 17 jewels had a heavy tariff attached upon import to the U.S. so within a couple years the jewel count dropped to 21 and finally to 17 in 1969. The 4006 designation is the movement and the second set of numbers, in the case of the first model 7000, indicates the style of the case and dial. There are enough models of Bell Matic that a nice little collection could be put together. The styling of the Bell Matics is typically ‘60s modern and jet age and it still holds up. The watch is thick and pleasingly heavy. The cases were in their time fairly large at 44 millimeters but would be considered a smallish watch today. I find this to be a good thing. The watch is easily read but not a burden on the wrist. Original Seiko steel bracelets can be hard to find in good condition separate from watches and finding extra links can be very difficult. Most of them take a 19mm band which gives you a broad selection of leather and aftermarket options. Bell Matics are readily found on sites like eBay but prices can vary wildly. There are a fair amount for sale in the states but many of them come from Asian sellers. Super clean untouched examples are in the $1000 plus range. But good examples can be had in the $200-$600 range. Parts are fairly plentiful so getting the movements serviced is easy. When the world rushes to choose a product and drives the price higher than the value to cost ratio would indicate prudent the smart collector looks elsewhere. Despite social status. If everyone goes big I say go small. I like to look for stylish, quality objects that fly under the radar. At the moment there is great value in many vintage Japanese products from the ’60s and ’70s. The Seiko Bell Matic is just one of those things. Thank you to Mike Doyle at M. J. Doyle Jewelers in Sacramento California for his kind assistance and knowledge of fine watches.